Ennu Ninte Moideen (forever yours Moideen) directed by R S Vimal, is a forthcoming Malayalam movie based on the real life love story of Moideen and Kanchanamala, which happened in 1960s in the backdrops of Calicut. 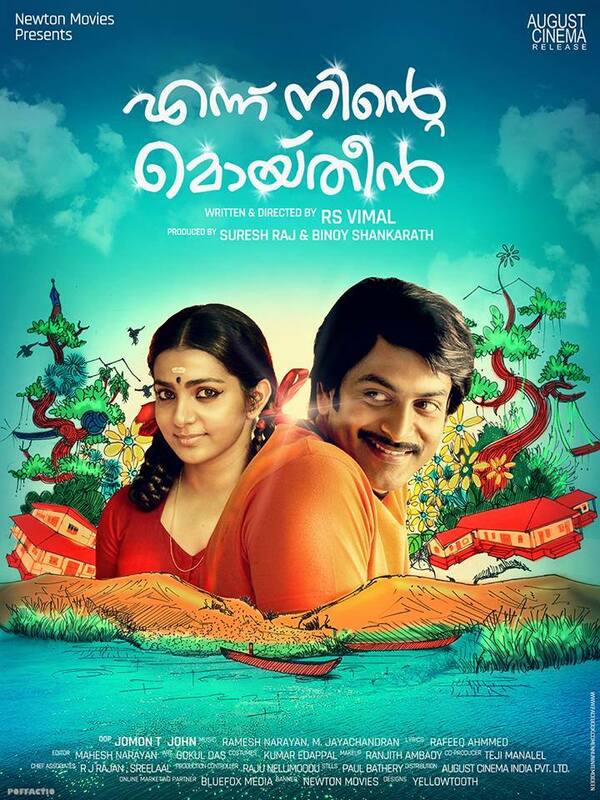 Produced by Suresh Raj, Binoy Shankarath, Ragy Thomas and Dr. Suresh Kumar,Prithviraj Sukumaran and Parvathy Menon essay the titular characters of Moideen and Kanchanamala, respectively. The film also features Bala, Tovino Thomas, Saikumar, Sashikumar and Lena in substantial roles. The music (songs) are composed by M. Jayachandran and Ramesh Narayan while the BGM is composed by Gopi Sunder and while cinematography is by Jomon T. John and editing by Mahesh Narayanan. ← Tatsumi : An Animated Experience Of A Lifetime!